Demo Mode / Shop Mode is an option on the TV for use when on display for sale. It displays videos and pictures stored on the TV along with specifications and features of the TV. The following steps show you how to take the TV out of this mode for normal home use. Press the MENU/123 button on the remote. 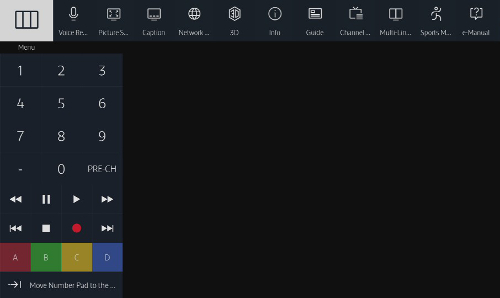 Navigate to and select Menu in the upper left hand corner. 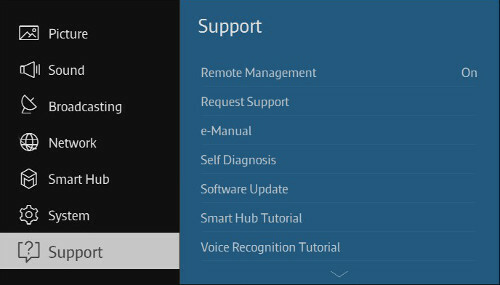 Select the Support sub menu. 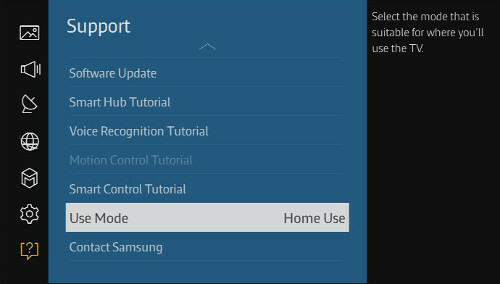 Navigate to and select Use Mode. 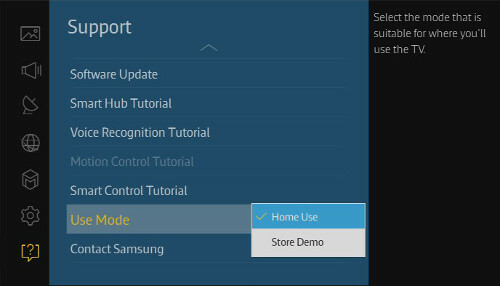 Select the Home Use option, then press the RETURN/EXIT button on the remote.